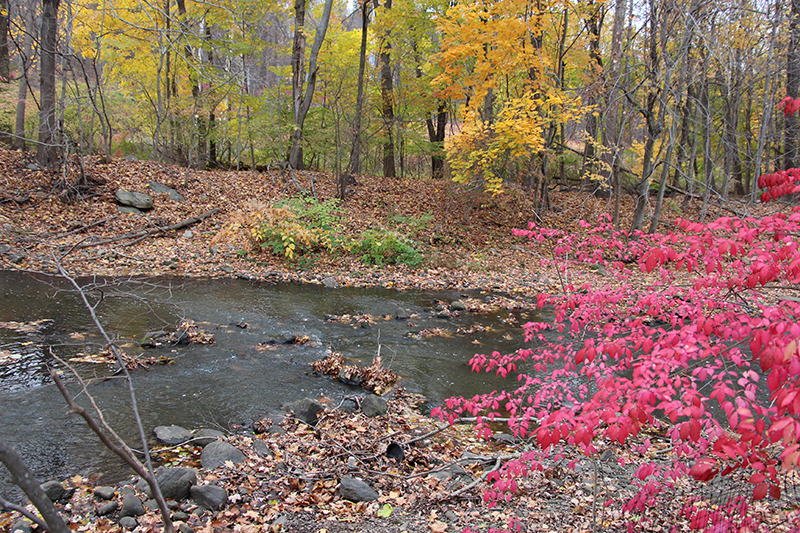 The EPA defines a watershed as “the area of land where all of the water that is under it or drains off of it goes into the same place,” and quotes John Wesley Powell, scientist geographer, who said that a watershed is: “that area of land, a bounded hydrologic system, within which all living things are inextricably linked by their common water course and where, as humans settled, simple logic demanded that they become part of a community.” There are over 2,000 watersheds in the United States. Wherever you are standing, you are in a watershed. Spans seven townships in CT and NY. Length 20 miles, elevation drop 962 ft.
Watershed population: 65,587 people (1990 census). 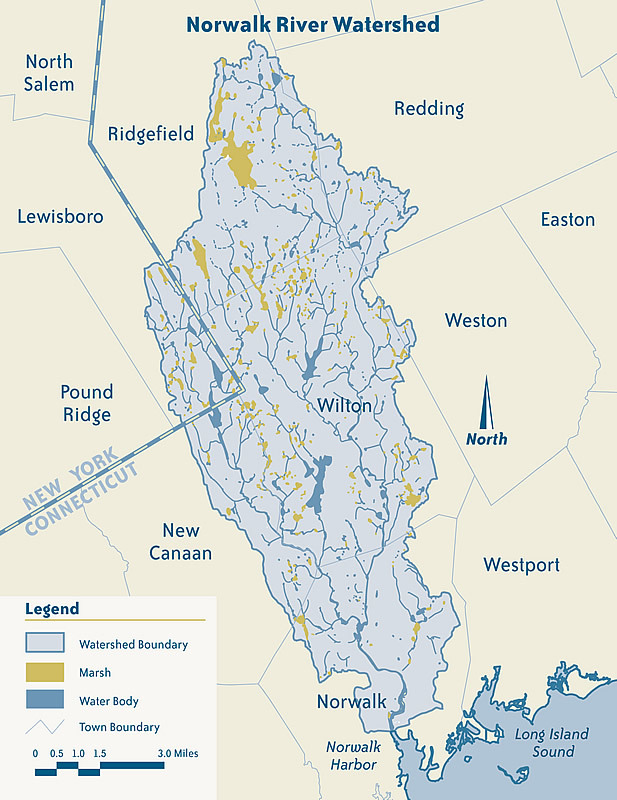 Watershed population 2015: over 130,000 people (CT Population Projections). 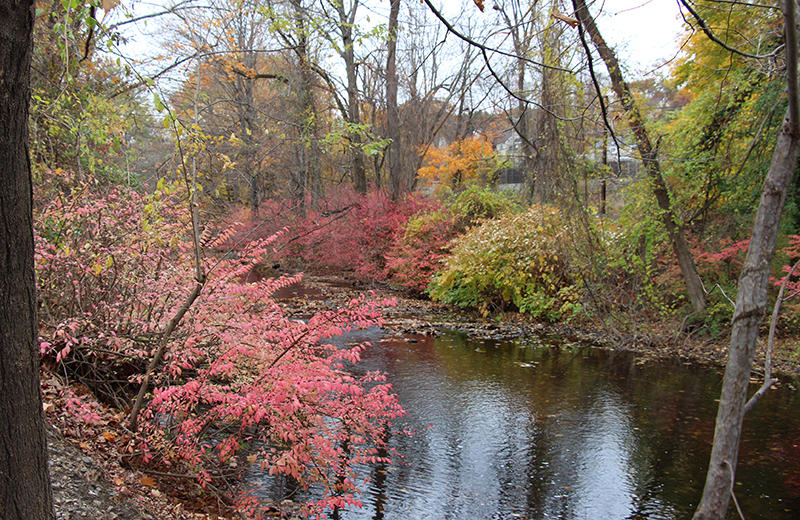 Major tributaries: Silvermine River, Comstock Brook. Public reservoirs on upper Silvermine & Comstock. Good recreational fishing at many sites. 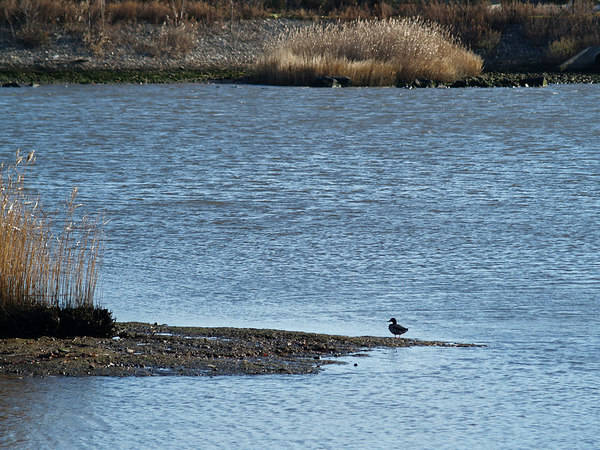 Major oyster beds at mouth, in Long Island Sound. Important transportation corridor (US Rte. 7). Two-thirds of the households in the watershed — mostly within the urban and village districts — obtain their water from public water supply systems. Most of the rest get their water from private drilled wells, and a small number use private dug wells. Sewage disposal is predominantly by public sewage systems in the urban areas and by private septic systems in the more rural and suburban areas.